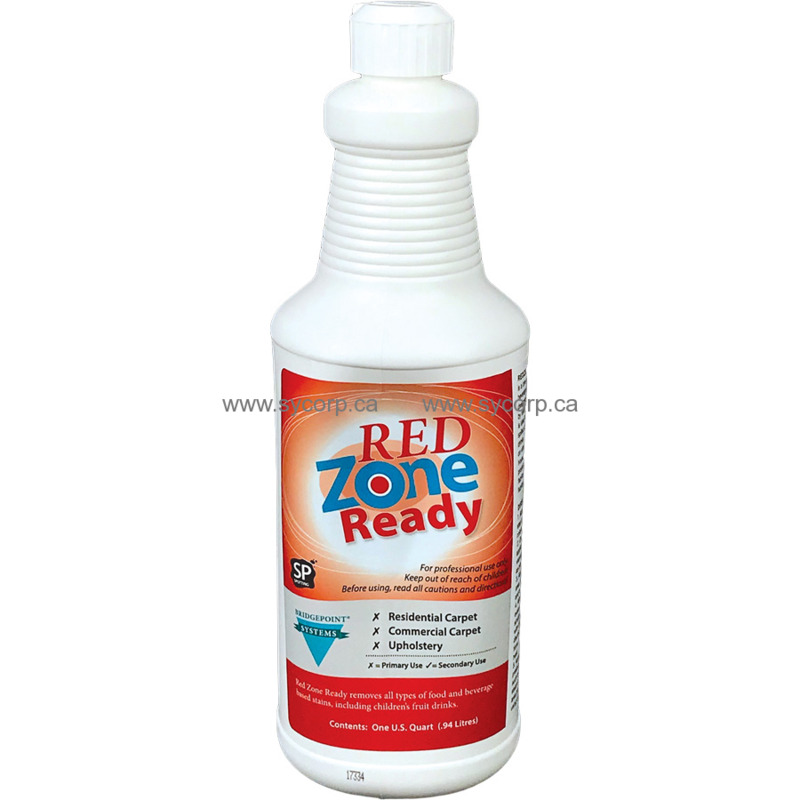 RedZONE Ready is a one step, highly effective, food and beverage red stain remover process that is designed to alter the structure of stains by removing, bleaching, or making them invisible. It is ideal for use with any stain caused by spilled children’s fruit drinks or sports drinks. This product is safe and effective on virtually any stain caused by a common household food or beverage spill. In addition, special additives allow the accelerating action to be activated right on the stain rather than in a spray bottle as with conventional two part Red Stain Removers. This product is for use with synthetic carpet or fabrics only. Not recommended for natural fabrics. Some stains will disappear without any further steps. Use heat to further accelerate chemical action. Easy to use one part formula requiring no mixing.